BOSTON, April 11, 2019 (GLOBE NEWSWIRE) -- Boston Calling, headlined by Twenty One Pilots (Friday), Tame Impala (Saturday), and Travis Scott (Sunday), delivers a food & drink lineup that is sure to please even the foodiest of festival goers. With a variety of fare ranging from award-winning barbecue to a raw bar sourced directly from the Atlantic, the festival rolls out a stellar collection of new culinary treats from legendary chefs, and brings back fan favorites. This year’s menu has something for everyone, including a wide assortment of craft beers and wines on hand to toast to Boston Calling’s 10th edition. Boston Calling takes place Memorial Day Weekend, May 24-26, 2019, at the Harvard Athletic Complex in Allston (65 North Harvard Street, Boston). Tickets are available at www.bostoncalling.com. New to Boston Calling’s General Admission food offerings are Sweet Cheeks Q, two-time James Beard Best Chef nominee Tiffani Faison’s barbecue mecca, which will be serving up Smoked Hot Chicken Philly Cheese Steaks, Oooey Gooey Cheesy Nachos, and a mind-blowing Fluffernutter Garbage Sundae; and Café Beatrice, an exciting new pop-up restaurant from Will Gilson, the celebrated chef and owner of Cambridge’s Puritan & Co., which will feature, among other options, Roasted Pork, Provolone and Broccoli Rabe, and Prosciutto, Pepper, Fig and Burrata Sandwiches. Stuffed by Papi is a new addition to the bill, offering its signature Sopapillas like Chipotle and Pineapple Marinated Smoked Pork with Pineapple Pico and Homemade Hatch Green Chile Aioli Slaw served with a Handmade to Order Sopapilla, while the locally acclaimed food truck, Boston Trolley Dogs, rolls in with the Duke, their popular beef hot dog topped with relish, onion and deli mustard. Also in General Admission, Boston Calling welcomes back Roxy’s Grilled Cheese, with its delicious grilled cheese sandwiches, including the Green Monster stuffed with three cheeses, crispy bacon and fresh guacamole; Arancini Bros and their variety of mouthwatering arancini flavors, such as the Classic Ragu which is Saffron Risotto with Tomato Meat Sauce, Peas & Mozzarella; The Smoke Shop, chef and owner Andy Husbands’ award-winning barbecue joint; and local burger authority Tasty Burger, which returns with its Tasty Burger Tots and introduces its new Tasty Burger Chicken Nuggets. Other returnees include Zinneken’s with authentic Belgian Waffles and the Shuck Truck with an incredible raw bar selection and Cape Cod lobster roll sliders. Between Whole Heart Provisions and The Chubby Chickpea, there will be ample vegetarian and vegan options, and when paired with decadent vegan ice creams from Fomu, a meal is complete. As in past years at Boston Calling, Platinum ticketholders will be treated to specialty evening menus created and prepared by some of the city’s most rousing culinary talent. Friday night features legendary two-time James Beard Award winning chef Jody Adams of Trade,Porto, and Saloniki. Adams will welcome guests with a Greek, Saloniki menu including a brilliant Meze Board comprised of crispy pita chips and house made dips, olives, sheeps milk feta and veggies before hosting a Souvlaki Sandwich Bar, complete with an assortment of grilled skewered meats including chicken, pork, and lamb. Yet another James Beard Award winner, Jamie Bissonnette, chef and partner of Toro, Coppa and Little Donkey, will host Saturday’s Platinum menu. He will offer a Foie Bratwurst with Japanese flavors, a Lamb, Bacon, and Lettuce wrap station, Fried Chicken Sandos and the sensational Impossible Burger. Sunday nights menu closes the festival with a classic northeastern seafood spread from an icon within New England cooking: Jeremy Sewall, chef and partner of of Island Creek Oyster Bar and Row 34. Sewall’s seafood expertise will be represented with a selection of Maine Lobster Tacos, Crispy Oyster Sliders, a Smoked Salmon Plate complete with pickles and grilled bread, and a Roasted Chicken with Rigatoni and Basil Pesto. Just as Boston Calling has curated a vast assortment of culinary choices for its 10th edition, it has also sourced an equally standout selection of beers and wines in both General Admission and Platinum. Hometown brewing favorites Samuel Adams will be returning again this year with an assortment of flavors, including three staple summer brews, Summer Ale,Sam ‘76 and Boston Lager. Returning to Boston Calling from across the Atlantic is Copenhagen’s acclaimed Mikkeller Brewing with a wide array of signature craft brews on tap including Staff Magician NE Pale Ale and Mikkeller Chill Pils Yuzu Pilsner. Barefoot Wines will also be featured with an assortment of wines such as the Barefoot Summer Red Spritzer and the classic Barefoot Pinot Grigio. Platinum guests will have access to, during limited serving hours, exclusive curated bars, signature cocktails and an assortment of superlative spirits including Kettle One and Bulleit Bourbon. Sodas and bottled water will be available for purchase throughout the entire festival. In addition, several free water stations will be onsite at Boston Calling for attendees who bring a factory sealed water bottle or empty beverage container. The full food and drink lineup is below. All vendors and menu items are subject to change. A * denotes the 2019 newcomers. A folder containing images of dishes for this year as well as Platinum chef headshots can be accessed here. The day-by-day music lineup for Boston Calling 2019 is as follows. Performance times are forthcoming. *Artists are subject to change. 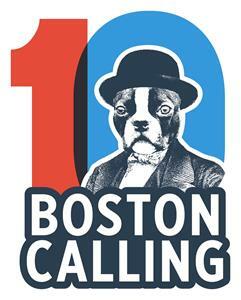 Boston Calling is proud to have Delta Air Lines, Samuel Adams, Miller Lite, Chase, JBL, Vans, Barefoot Wine, Subaru of New England, and 47 Brand as sponsors for this year’s festival. Tickets: A limited number of Single Day and Three-Day General Admission, VIP and Platinum Passes are on sale now at www.bostoncalling.com. Getting There: Boston Calling is best accessed by the T on the Red Line’s Harvard Square stop; from there, it is a short walk to the festival’s main entrance. Boston Calling will also be coordinating with taxi and rideshare programs for safe and easy pickup and drop off points. There will also be bike racks available onsite. Onsite parking is available only to Platinum package purchasers.